The flittermouse scents the night air! If you're skittish, or gentle, beware! If you're bit in this dental affair. 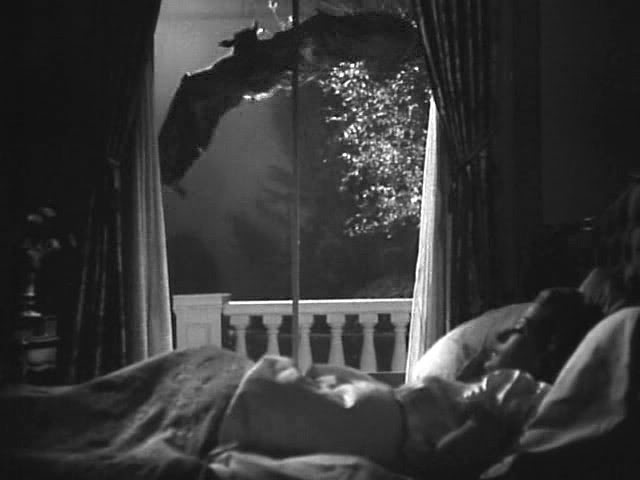 In The Devil Bat (Jean Yarbrough; 1940). Béla Lugosi breeds a deadly giant bat that is drawn to an after-shave lotion he has concocted. The victim here is Suzanne Kaaren.